Something that is now close to home for me is brain tumour awareness. This month is a major month for awareness of different illnesses – Breast Cancer, Pituitary diseases and Brain Tumours. 1 in every 9 women will be affected by breast Cancer. 1 in every 5 people will develop a pituitary disorder. I am very lucky to have a benign tumour. One that can be operated on to be removed. It does not mean that it isn’t harmful – it just means it can be removed and people think that because a Cushing’s tumour is benign, that once it’s gone, it’s fine. That is not the case. Each day this tumour is in my brain, it is slowly killing me. It’s not a quick thing like cancer, but it’s been in my brain for years causing harm and it is at it’s peak. It causes high levels of cortisol, high cholesterol, high blood pressure, can cause diabetes, and osteoporosis. It causes extreme anxiety and depression. Causes muscles atrophy, extreme body pains and can cause infection if you cut yourself and healing takes months opposed to weeks, depending on the injury. Difficult to walk, think, causes short term memory loss, weakness and impairs your visuals. 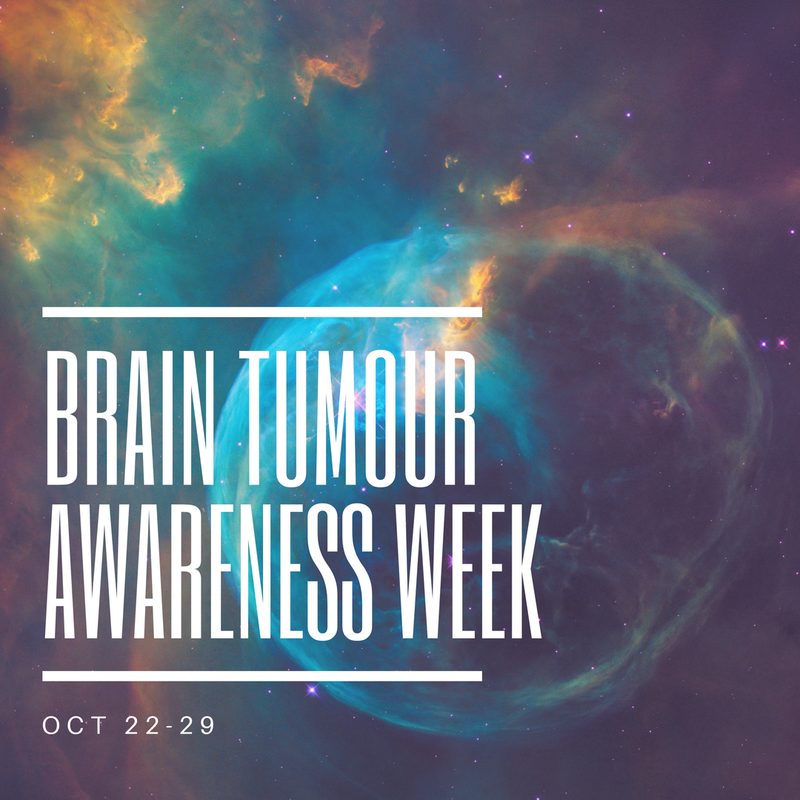 This week, I’m taking the time to think about all those who have suffered from a brain tumour and lost their lives, suffered from a brain tumour and survived or are currently suffering. I currently cannot donate like I would like to, but I will be once I am back on my feet and working. I am also making it my mission to make Crush Cushing’s go into full effect once I am feeling better. I am also planning to do the walk with a fellow Cushing’s Survivor, Danielle. That is when I would be donating the proceeds I make from Crush Cushing’s. If you would like to make a donation to Brain Tumour research, click Here for more info 🙂 There are so many advances being made in brain research to help those suffering. It can truly make a difference in someone’s life!